Following the final regular season match of the 2017 season, forward Jason Johnson made his way over toward the supporters end. Johnson and the supporters were already in a celebratory mood. Rising FC closed the book on a record-breaking season with a dominating 4-1 win over Portland Timbers FC 2. The players already had their minds on the club's first-ever playoff match a week later. 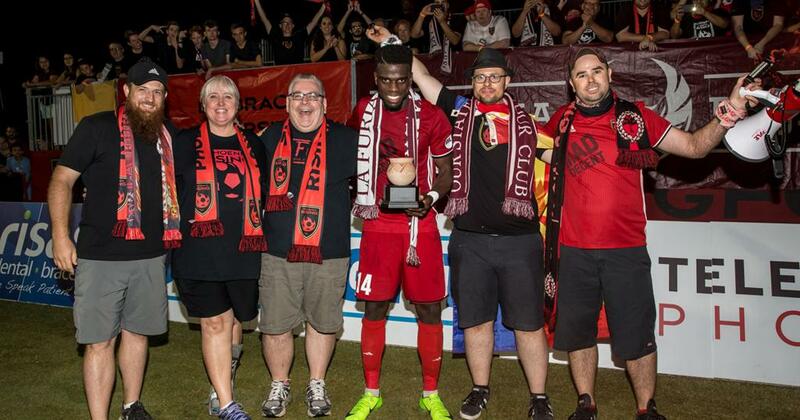 And Johnson ended the season as Phoenix Rising's leading goal scorer with 13 goals to his name. 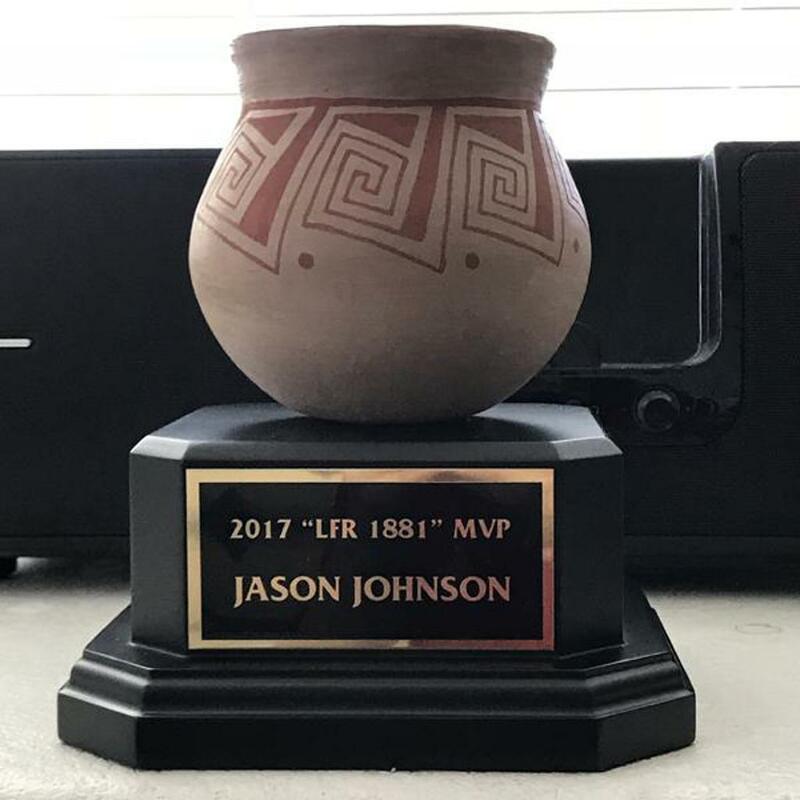 There was just one more event to celebrate and officially close the 2017 regular season: naming Johnson the La Furia Roja 2017 season MVP. Awards are as integral to sports as wins and losses. And how those awards are commemorated, whether they're trophies, plaques, or simple certificates, is as diverse as the player types that are celebrated. For this celebration, LFR wanted a trophy that had meaning beyond a piece of hardware commemorating a season well played. 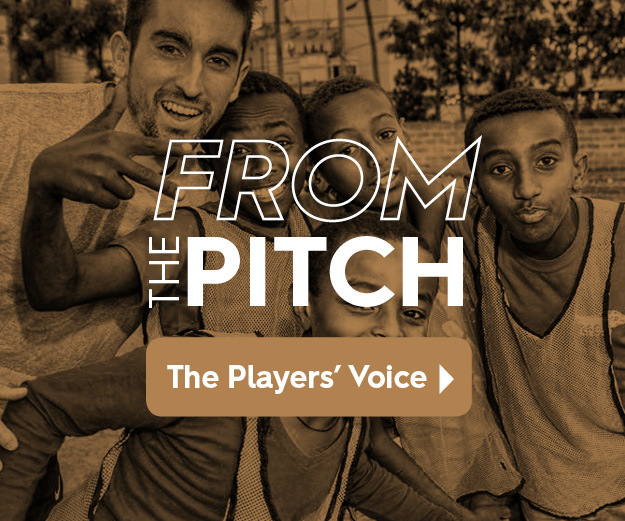 So the group reached out to the Solanna Group, who owns the land Phoenix Rising FC plays on, asking for pottery from the Pima-Maricopa Indian Community that could be used for the trophy. The Solanna Group donated a pot from Pima-Maricopa Community member Ron Carlos, who is renowned for his pottery-making skills. "He digs up natural red clay compounds from the Red Mountain foothills, processes it and uses traditional firing techniques for his creations," said Solana Group president Claire Miller. "He was proud and honored to be asked to be a part of the player recognition." In an interview with Southwest Folklife Alliance, Carlos said of his work, "There are many things that help inspire my pottery work. But I definitely draw most of my inspiration by looking at historic and prehistoric pottery. I always enjoy looking at pottery no matter what type. A lot of times it makes me wonder, 'Who made this? How did they make this?' I may not know the potter but I can see their creativity in front of me." Back on the pitch, Johnson stands with members of LFR as they present him with his award. It stands in for more than just an excellent 2017 season. It stands in for the special bond between the players and their supporters. It stands in for the relationship between the supporters and the Pima-Maricopa Community. And it stands in the for the relationship between the club and the family who has been an integral partner in Phoenix Rising's growth.